If you want a perfectly working cooking appliance, you need to give it a clean from time to time to rid it of carbon residue and grease. Let us save you the scrubbing work. 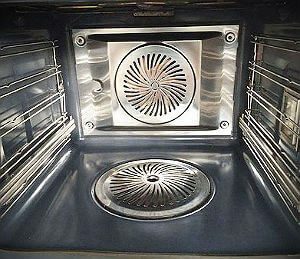 We are great specialists in oven cleaning in Shepherds Bush, W12 and our job is to rejuvenate cooking appliances. We use high-quality cleaning products and we implement tried-and-true techniques. What’s best is that we work on site. Namely, you don’t have to move your appliance to some other place; we will come and get it clean right where it is. We will work in an effective manner. If you need more information, be sure to get in touch with us. We will ensure that your cooking appliance is scrubbed and rubbed to perfection. We will remove the nasty grease and grime. No matter how much dirt has embedded on the walls, we will go above and beyond to remove them. We have tremendous experience under our belts. We have worked with a variety of models and brands and everything in-between all over the years. We realise every unit is different and has to be treated individually. 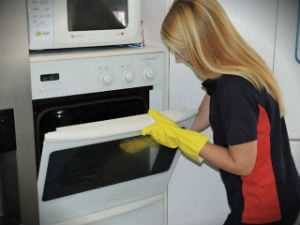 We assure you that we have the know-how to clean appliances. We are aware of how to apply our skills and knowledge so that every unit is cleaned in a professional way. We will try to work as quietly as we can. We won’t create any fuss. 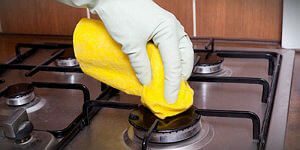 We will get the job done for about 40-60 minutes, or, if the appliance is a little bit dirtier than that, we will spend about a couple of hours. The good news is that you are free to use your cooker right after we finish cleaning. There is no need to wait. We are convinced that our oven cleaning service in W12 is the best find. Take advantage of our company if you wish.